The least number of visitors is in winter, while weather conditions are the most favorable in spring and autumn. We are comparing Rome in One Day: Low Cost Vatican & Colosseum Tours Prices from leading ticket suppliers and Try to find you Cheap tickets prices on the market. 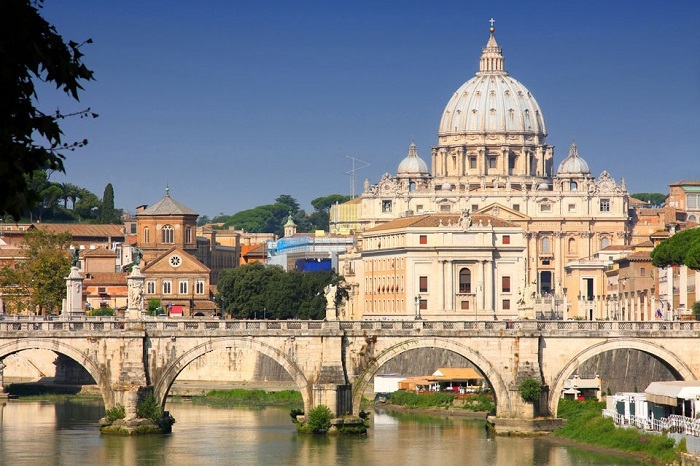 The guided tour offers an overview of Roman and Christian Rome by covering the top attractions of the Italian capital. The priority entry to Vatican saves visitors a lot of time they would otherwise spend queuing in long lines. In the Vatican Museums, travelers examine an extraordinary art collection since the Antiquity and works of art by famous artists. Sistine Chapel boasts paintings by Michelangelo, regarded among the very finest in the world. The arena of the Colosseum used to be where various events took place in the Roman Empire. Roman Forum used to be the center of the Roman city, where religion, trade and social life blended. The ticket allowing visitors to get a tour of the Colosseum is valid for visiting the Forum and the Palatine Hill. If you are a first-time visitor to Rome, this tour allows you to learn a great deal about the city on this guided tour. The activity is also highly recommended for visitors that are in Rome for a short time. The guided tour is suitable for travelers interested in history, culture and art. Your Experience With Rome in One Day: Low Cost Vatican & Colosseum Tours? Save time by skipping the long lines to enter Vatican and visit its museums housing a great art collection. Have a tour of the Sistine Chapel, painted mostly by Michelangelo, the opulent Saint Peter's Basilica and Saint Peter's Square, surrounded by colonnades. Continue the tour by visiting the Colosseum, the grandest Roman amphitheater in the world, where many events, including gladiatorial duels, occurred. Visit the Roman Forum, where social life, commerce and religious rites went on during the Roman era. Admire views of the surrounding area from Palatine Hill and survey the remains of high-end villas originated during the ancient Roman times. What Rome in One Day: Low Cost Vatican & Colosseum Tours Includes? Privileged entry to the points of interest in Vatican, which saves you a lot of time. Combined ticket for visits to the Colosseum, Forum and Palatine Hill. Headphones, so you don't miss anything the tour guide reveals. Optional lunch and some other extras. Raphael's Rooms in the Vatican Museums are among a few highlights of the Vatican state. The Colosseum and events held there were an important tool of Roman emperors for securing the support of the Roman people. In the Temple of Vesta in Roman Forum, the eternal fire was burning constantly for a few centuries. Travelers Reviews about Rome in One Day: Low Cost Vatican & Colosseum Tours? Travelers who joined the activity were very satisfied with the quality of the tour and the information they got. They have a high opinion about the performance and friendliness of their assigned guides. Several travelers point out that you should prepare and rest yourself well before this activity takes place. Several reviewers state that skipping the lines for visiting the Vatican provides a great value for the participants of the walking tour. A few reviewers underline that drinks cost extra if you book lunch. The guided tour of the Vatican and the Colosseum isn't a disabled-friendly activity. Disclose either a voucher you print or have in an electronic form to take part in the guided tour. Customers who cancel their orders at least 24 hours in advance receive a full refund. You will walk a lot, so wear suitable shoes. Dress accordingly to weather conditions since part of the walking tour takes place outdoors. To enter religious points of interest, dress respectfully. If you use a pacemaker, bring a certificate to avoid screening. The gathering point depends on your choosen provider and the option you select.